STOCKLAND Gladstone will have two new restaurants by the end of the year with Burger Urge and Schnitz creating a dining precinct. Burger Urge will be built where BWS currently is between Jamaica Blue and Yoghurt Land and Schnitz will be where Westpac Bank was. The chef at burger urge serves up a few of the many items avaliable on the menu at the new Rocky store. Burger Urge director Sean Carthrew said he was thrilled to open the 19th Burger Urge store at Stockland Gladstone. 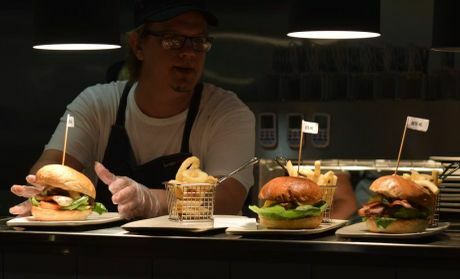 "At Burger Urge we pride ourselves on the creation and construction of the perfect burger, with freshly baked buns and the highest quality premium produce sourced directly from Aussie farmers," he said. "We look forward to making many great memories and tasty burgers with our new Gladstone family very soon." Burger Urge launched in 2006 and quickly developed a cult following amongst burger aficionados around the country. 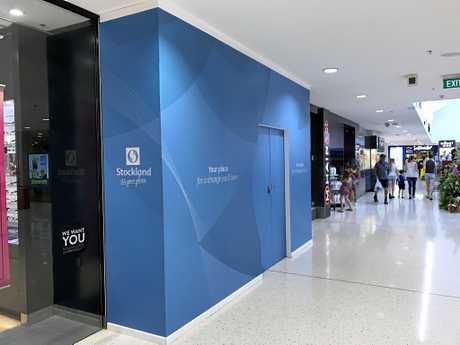 THERE is some shuffling and investing in new stores going on at Stockland Gladstone. The newsagency has been downsized, making way for a new store between the newsagency and Williams. Currently there is a white wall over the store, hiding the construction going on inside from those walking past. There is also a blue wall hiding what is going to be situated next to Sunglass Hut. There have been rumours of a Burger Urge restaurant opening but these two shops look too small considering the size of the Burger Urge in Rockhampton. The Observer expects to find out what shops will be this afternoon.